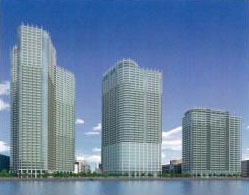 Construction has started on a triple-tower high-rise apartment project on the man-made island of Kachidoki in Tokyo Bay. Completion of the 165.5 billion Yen (approx. 1.5 billion USD) development is tentatively scheduled for late July 2027. 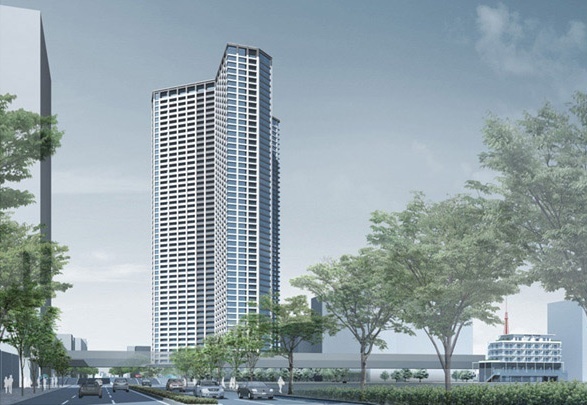 The Kachidoki East District Redevelopment includes three towers ranging from 106 ~ 195 meters, with a total floor area of 369,000 sqm (3.97 million sq ft) and as many as 3,120 apartments. Two high-rise apartment buildings are planned for Toyomicho, an area which adjoins the Kachidoki address on a man-made island in Tokyo Bay. The Toyomicho District Redevelopment will include two 56-story buildings containing a total of 2,150 apartments and 631 car parking spaces. Construction is scheduled to start in 2020 with completion by 2025. 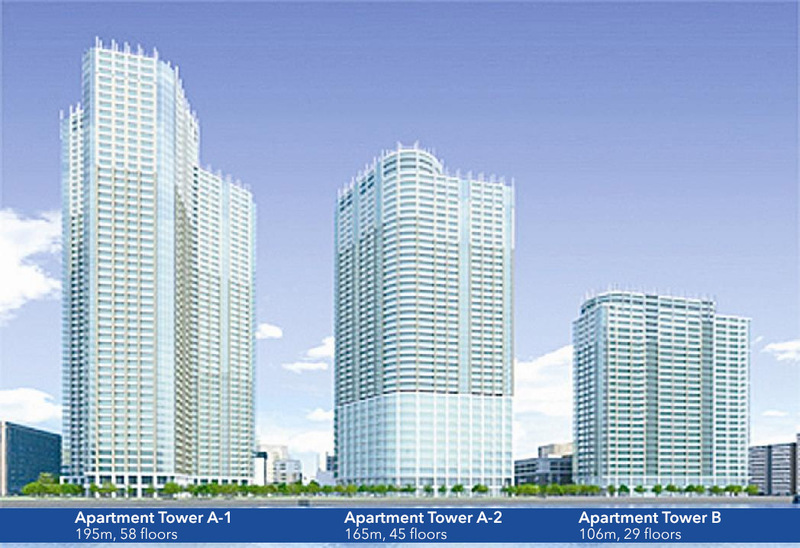 With a total height of 189 meters, the buildings will be slightly shorter than the nearby The Tokyo Towers (193 meters). Due to its proximity to the water, a seawall will be built to protect the building from flooding or tidal inundation. 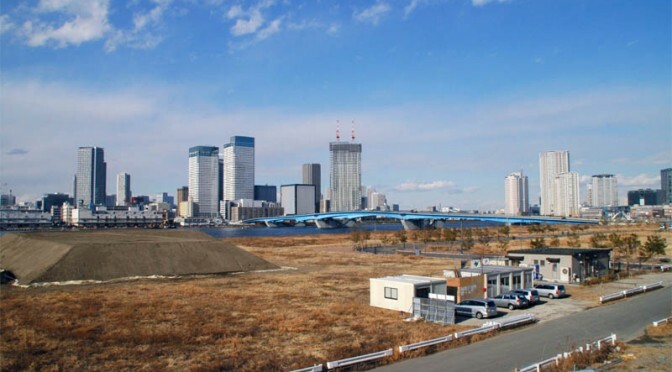 The man-made islands on Tokyo Bay have been undergoing a slow gentrification over the past 10 years or so as factories and warehouses are gradually being replaced by high-rise apartment buildings and shopping malls. The islands are already home to some large-scale redevelopments, including The Tokyo Towers (2008) and Triton Square (2001), while many more projects are in the pipeline. 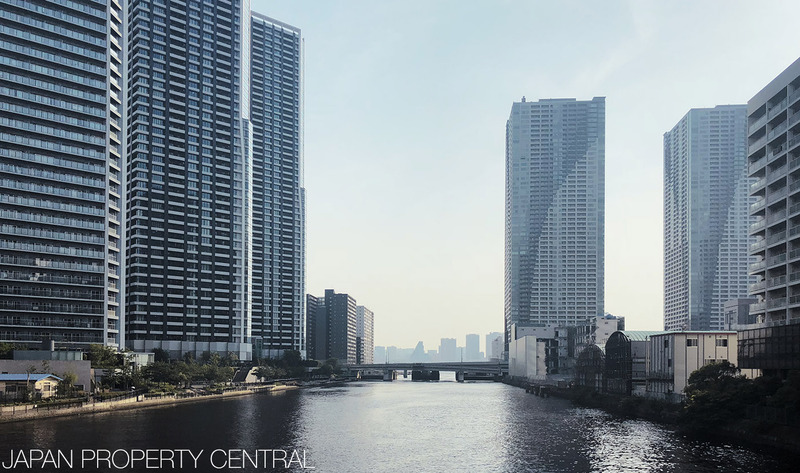 This area was usually thought of as a cheaper alternative to apartment living in the more central areas in Tokyo, while still offering an easy commute. However, prices in some apartments can now be as high as those in Minato-ku. The growing popularity of the area, however, does not mean every project is guaranteed strong sales.